“Again the Passing of the Old for the New. 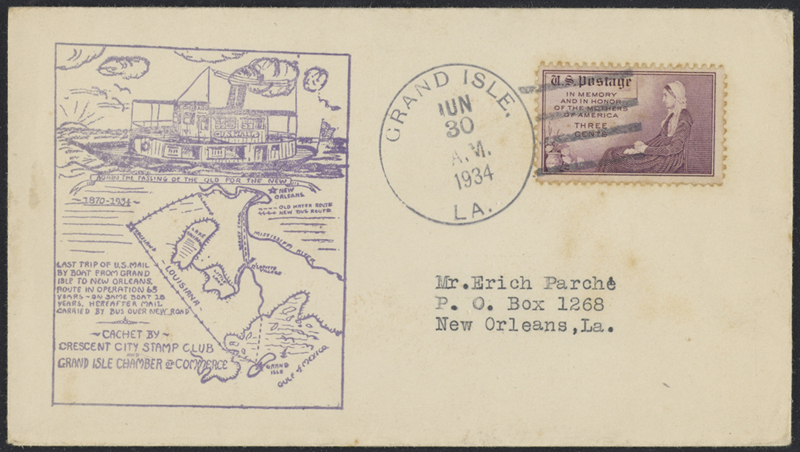 Last Trip of US Mail by Boat From Grand Isle to New Orleans Route in Operation 65 Years – on Same Boat 10 Years. Hereafter Mail Carried by Bus Over New Road. 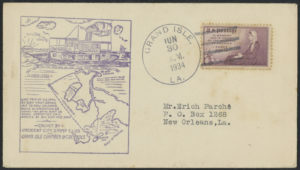 Cachet by Crescent City Stamp Club and Grand Isle Chamber of Commerce.” The cachet includes a map showing the old water route and the new bus route. Postmarked June 30, 1934.